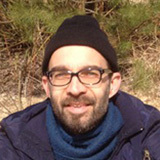 Pierre L. Ibisch, professor for Nature Conservation and research professor for Ecosystem-based Sustainable Development at Eberswalde University for Sustainable Development, Germany, and co-director of the Centre for Econics and Ecosystem Management. He started working with mapping the impacts of roads for conservation planning in Bolivia in the context of ecoregional conservation and national conservation planning from 1998 onwards. Back to Europe, he supported the Roadless Initiative of the Europe section of the Society for Conservation Biology from the very beginning. Amongst others, he is interested in developing tools and methods for mapping and assessing roadless areas. He is involved in conservation science projects around the world and has been to some of the most remote and fascinating roadless areas. 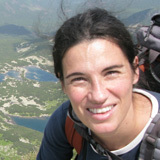 Nuria Selva is a professor at the Institute of Nature Conservation of the Polish Academy of Sciences in Krakow. Her interest in road impacts started with the Rospuda case, a unique mire threatened by the construction of a new road, which finally was not built thanks to a long environmental campaign. She is one of the initiators of the SCB Roadless Initiative, which was originally launched by the Policy Committee of the SCB-Europe section, chaired by her at that time. She is also involved in research and conservation of brown bears, scavenger communities, and ecological processes, in general. She led the inventory of roadless areas in the Polish Carpathians and proposed the protection of the remaining road-free areas as critical bear habitat for reproduction and hibernation. She has been advocating for the protection of the Bialowieza Forest in Poland and limiting road development there, one of her main study areas. 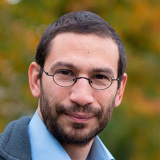 I am a German biologist and hold a PhD in natural sciences. As a researcher associated with the Centre for Econics and Ecosystem Management at Eberswalde University for Sustainable Development (Germany), lecturer and consultant, I focus on ecosystem-based management planning. I am also especially interested in development cooperation. I have worked in projects of regional, national (Bolivia, Colombia, Ethiopia, China, Germany) and international scope. Around year 2000, I witnessed that plans for a 600-km breach cut through forest in Bolivia for a pipeline went largely unnoticed by local and international conservation NGOs. Since then, I have been convinced that there is a lack of coordination for the conservation of roadless areas across the planet, and the Society for Conservation Biology and its Roadless Areas Initiative shall help close this advocacy gap. I have been working for this since 2007 as member of what has evolved into the Roadless Initiative ever since. 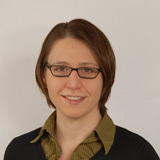 Monika T. Hoffmann studied International Forest Ecosystem Management (B.Sc.) and Forest Information Technology (M.Sc.) with a focus on Geographic Information Systems at Eberswalde University for Sustainable Development, Germany and Warsaw University of Life Sciences. Since 2012 she works at the Centre for Econics and Ecosystem Management in various nature conservation projects. Fragmentation and roads were an important focus. She is interested in applying computer technology, especially GIS as a tool to provide information, analyses and visualization, to nature conservation. 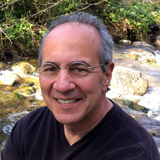 Dr. Dominick A. DellaSala is President and Chief Scientist of Geos Institute in Ashland, Oregon and was President of the Society for Conservation Biology, North America Section from 2008-2014. He is an internationally renowned author of over 200 articles on forest ecology, conservation biology, and endangered species. He has appeared in National Geographic, Science Digest, Science Magazine, Scientific American, Time Magazine, Audubon Magazine, High Country News, Terrain Magazine, NY Times, LA Times, USA Today, Jim Lehrer News Hour, CNN, MSNBC, “Living on Earth (NPR),” and even Fox News! 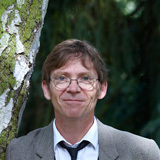 His book “Temperate and Boreal Rainforests of the World: Ecology and Conservation” received an academic excellence award in 2012 from Choice magazine. His recent co-edited book– The Ecological Importance of Mixed-Severity Fires: Nature’s Phoenix - presents groundbreaking science on the ecological importance of wildfires. Dominick is motivated to leave a living planet free of roads for his daughter and all those that follow. Dr. Lisa Biber-Freudenberger, senior researcher at the Center for Development Research, is by training an ecologist and nature conservation scientist. 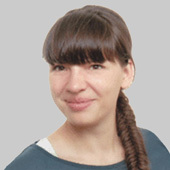 As researcher at Eberswalde University for Sustainable Development between 2009 and 2012 she has been working especially in the field of nature conservation planning with a focus on preserving pristine ecosystems. 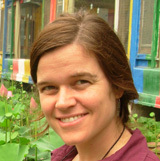 Since her dissertation in 2013 she has been employed as a senior researcher at the Center for Development Research doing research on a range of cross-cutting issues of nature conservation and human development including conflicts of human infrastructure expansion and the conservation of biodiversity. Steering future human development in a way to avoid conflicts between roadless area conservation and human well-being is of major interest to her current work touching various aspects of sustainable development in less developed countries, where most of the very diverse and pristine roadless areas can be found. Halle-Jena-Leipzig. His work concentrates on the dynamics of species and communities in fragmented landscapes, trying understand - and address - both the sources and consequences of habitat loss and fragmentation. The central role of roads in shaping fragmentation processes is well demonstrated by his landscape generator “G-RaFFe”, a simple simulation model which mimics a vast range of real-world spatial patterns merely by generating roads and letting fields expand from them. 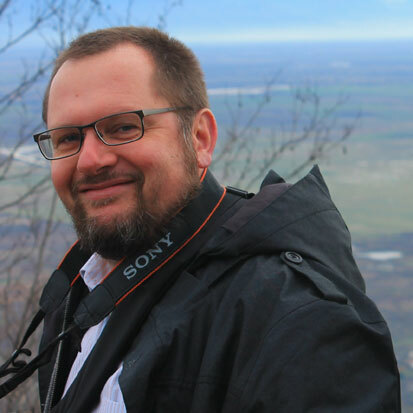 Guy joined the Policy Committee of SCB-ES in 2009, where he became acquainted with the Roadless Initiative and supports it since then, especially through analytical tools. He is also interested in the links between Roadless and Wilderness. Dr. Mariana M. Vale, professor at the Ecology Department of the Federal University of Rio de Janeiro, Brazil, and coordinator of the Biodiversity of the Brazilian Research Network on Climate Change. She started working with mapping the impacts of roads and other infrastructure projects on tropical biodiversity in 2007, predicting Amazon bird species and endemic areas that would be particularly threatened by road planned road expansion in the Brazilian Amazon. 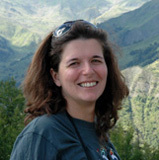 She directed the Latin America and Caribbean section of the Society for Conservation Biology, where she got involved with the Roadless Initiative of the Europe section, presenting its conceptual framework and early results at the Rio+20 United Nations conference. She is focused on identifying species and areas in the Neotropics that are particularly susceptible to global change, and proposing priorization schemes for conservation in the region.